Born in Philadelphia in 1921, Ray Ellis studied art at the Philadelphia Museum School of Art and held his first solo show in 1947 at the Pennsylvania Academy of Fine Arts. Ellis served in the coast guard for four years during WWII, and following the war he founded his own advertising agency in New Jersey and New York. Because of his advertising career, Ray Ellis only painted in his spare time. 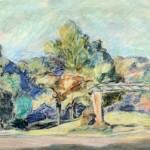 However, it was during this period that he was elected to the American Watercolor Society. 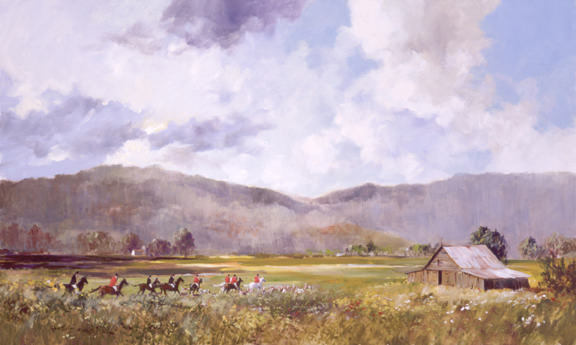 By 1969, Ray Ellis was able to paint full time and decided to move to Hilton Head Island, South Carolina. He later relocated to Savannah, Georgia and currently lives on Martha’s Vineyard. In the early 1980’s Ray Ellis and Walter Cronkite collaborated on a series of fine art books that featured the coasts of America: South by Southeast, North by Northeast and Westwind. Ellis also worked with golf journalist Ben Wright to write The Spirit of Golf that was published in 1992, and in 1997, he wrote The Road to Ballybunnion with John DeGarmo. Numerous other books featuring paintings by Ray Ellis have also been published. 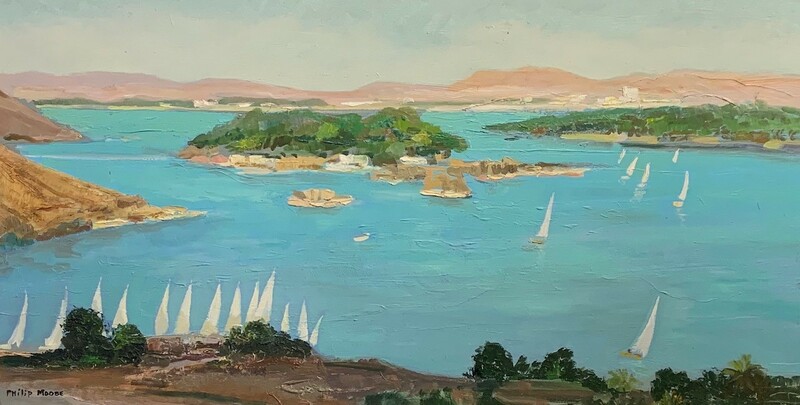 The latest book called Lowcountry showcases his paintings of the South Carolina and Georgia coast. 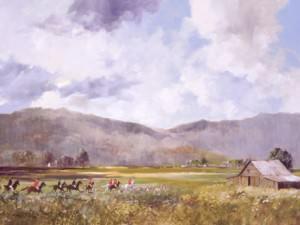 Ray Ellis was commissioned by the President George Herbert Walker Bush for three consecutive years to paint various scenes of the White House for the White House Christmas card. 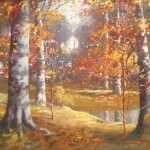 He has been painting for over fifty years and is represented by galleries nationwide. His work can be found in private and permanent collections across the country, including the U.S. Embassies in Geneva, London and Vienna.